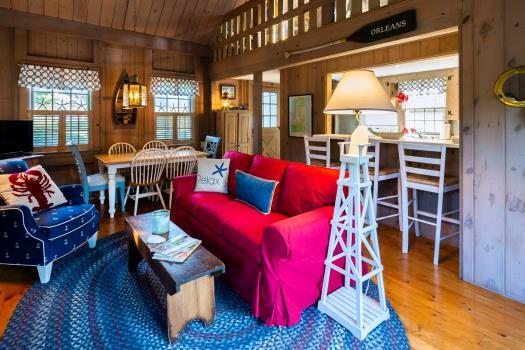 This private Truro home is finely furnished with Cape Cod Artists work throughout. 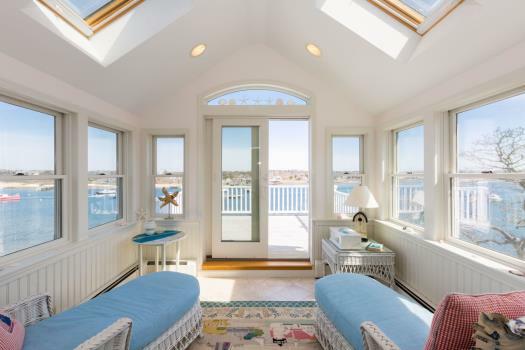 Built in 2001, is a one true bedroom (King) with a large fully enclosed 3 season porch with additional daybed and trundle to sleep an additional 2 guests. There is AC in the Main living kitchen area and bedroom. 3 season porch has a ceiling fan. There is a large deck off the kitchen and porch with a large outdoor dining area with a gas grill, perfect for a summer dinner! 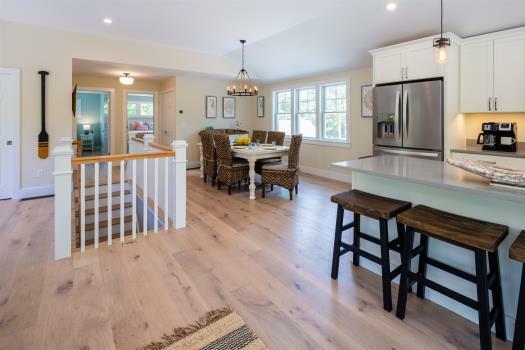 You are minutes to Ballston Beach and Corn Hill Beach and walking distance to "downtown Truro" where you will find Blackfish Restaurant, Jam's Market and the Truro Farmer's Market in the summer. There are back road trails to walk or ride your bike through the National Seashore to Ballston Beach. Home comes with 2 beach chairs, beach toys, a small cooler and umbrella. Built in 2003, this is a unique hideaway in Truro. 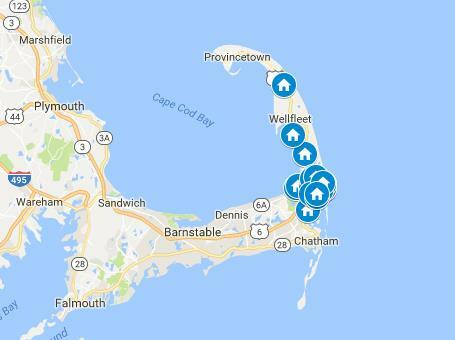 Close to everything: Ballston Beach 5 minute Drive, National Seashore, Cape Cod Bay beaches 8 minute drive, Blackfish Restaurant, Truro Vineyards and South Hollow Spirits. Owner is a well-connected local and willing to provide insider tips to respectful tenants. Beach chairs, umbrella and kids’ toys all provided! This hideaway offers a convenient location in Truro close to Truro Center but still tucked in the woods. Spacious open kitchen/ dining / living area opens up through a set of sliders to a 3 season porch with a day bed and comfy furniture for relaxing. Another set of sliders open up to the deck right off the kitchen which offers a lovely space for morning coffee or an afternoon respite in the shade complete with chaise lounge, full size grill and outdoor dining with plenty of seating. 46 inch Screen TV in the living room with full cable and Wi-Fi, HBO included. Air conditioning in the living area as well as the bedroom. The one true bedroom offers a tempurpedic King size bed. The entire well curated area offers all local art from Cape Cod artists. Big, open driveway is shared with home next door. Parking for 2 cars guaranteed. Very quiet, private neighborhood. Small pets considered on a case by case basis. Guest Access: Full home, deck, wash room, driveway etc. 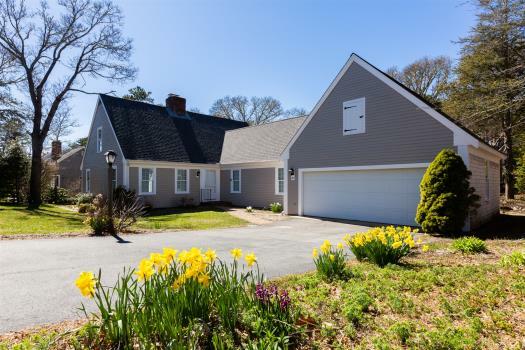 The Neighborhood: Private road convenient to everything the outer cape has to offer. Getting Around: Car / bike is best as public transport is limited. The Flex bus stop for Truro is walking distance. Other Things to Note: Detailed area recommendations provided on booking. Typically renters bring their own sheets, towels etc. That said, there are some great local companies we can refer you to that have rental linens available that can be delivered to the home for an additional fee. House Rules: Respect the property and neighborhood and enjoy your vacation. Our stay at Truro Hideaway was simply delightful! The rental office was very responsive in the process of booking the property. The property itself is very clean, spacious and quiet. The kitchen is well equipped with everything a cook may need. We enjoyed using the propane grill on the deck. Having a washer and dryer on the lower level was very convenient. 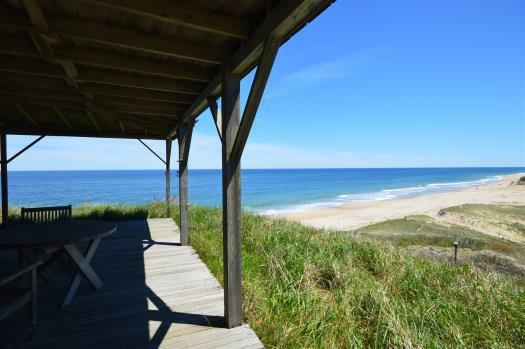 The location of the property in terms of proximity to Truro beaches cant be beat. Thank you so much for the wonderful stay! WE were easily able to review multiple options on the web-site. Response time to various questions was speedy and accurate. Very professional! Overall an excellent choice. Great price for location and amenities. We had long beach days (Longnook & Balston), and a mix of eating in & out, so the ample kitchen space worked well (would be a plus to have a kettle vs. boiling water on the range - I'm English so need my morning tea quickly). 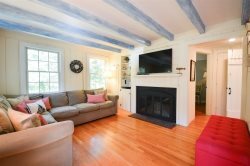 Easy access to P'Town, Wellfleet & Truro for entertainment etc. Good parking space and quiet neighbors. Will be hoping it's available for the dates we need in 2019. Enjoy! The beach was a challenge to get to by trail, but we made an adventure of it on our bikes and were rewarded with paradise: a beautiful secret beach with no one to be seen for miles. I enjoyed the owners book collection and art, and very much appreciated the use of their guitar. Thank you very much.